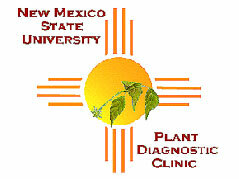 The Plant Diagnostic Clinic is designed to provide plant diagnostic services for the state of New Mexico. Our services include analysis of plant material for plant pathogens and environmental stresses as well as suggesting appropriate control measures when available. The clinic also facilitates insect and weed identification through referrals to other specialists. Our clients include Extension Personnel, Crop Consultants, Growers, Retailers, Landscape Professionals, Golf Courses, Researchers, Government Agencies, and Homeowners. The Plant Diagnostic Clinic works very closely with the New Mexico Cooperative Extension county offices. For initial assistance with plant problems contact the county extension office near you. The County Extension staff will assist you with sample submission to the clinic if needed. No diagnostic service fees will be applied to samples submitted through extension offices. If you would like to use our services directly, please review the pages of this document for information on fees, how to collect and send a sample and the required sample submission form. A sample that was improperly collected, packed, and/or shipped and arrives in poor condition may be insufficient for diagnosis. 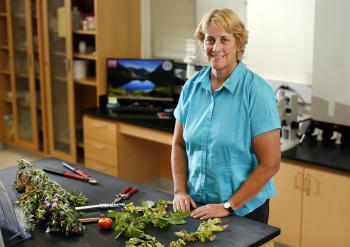 The Plant Diagnostic Clinic is a facility of the Extension Plant Sciences Department at New Mexico State University. The clinic also serves as a support lab for the Western Plant Diagnostic Network. The clinic provides accurate plant disease diagnosis, quick turn around time, professional services, and up-to-date control recommendations. Please be advised, if pests of regulatory significance are identified on submitted samples, we are required to notify the New Mexico Department of Agriculture. When contacting clinic personnel for assistance with plant related problems, it would be helpful if you would let us know where you are from - this will facilitate our ability to provide you with good information for your geographic area. Thank you. 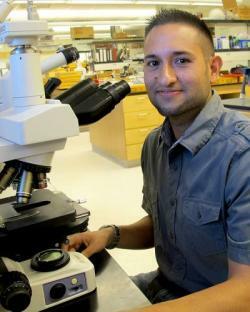 Out-of-state samples must be accompanied by NMSU-PDC permit information. If submitting a sample from a state other than NM, please contact the NMSU-PDC at 575-646-0111, 575-646-1822 or email pl11@nmsu.edu, prior to shipping.